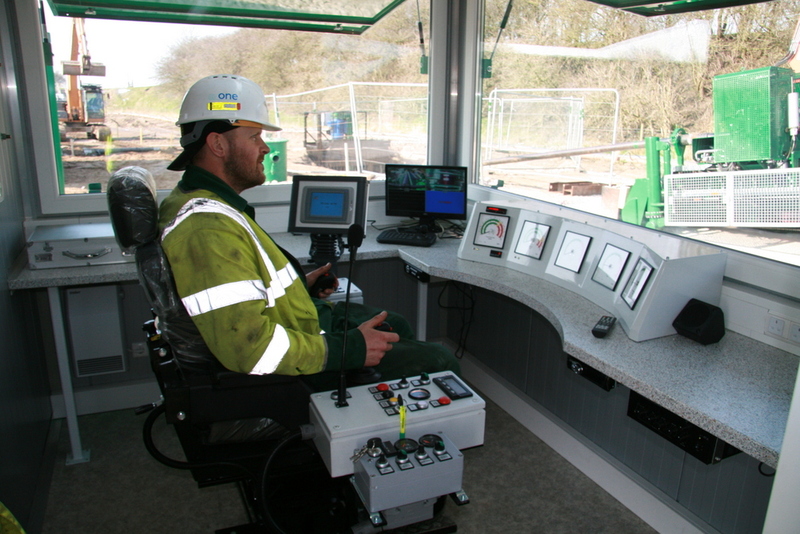 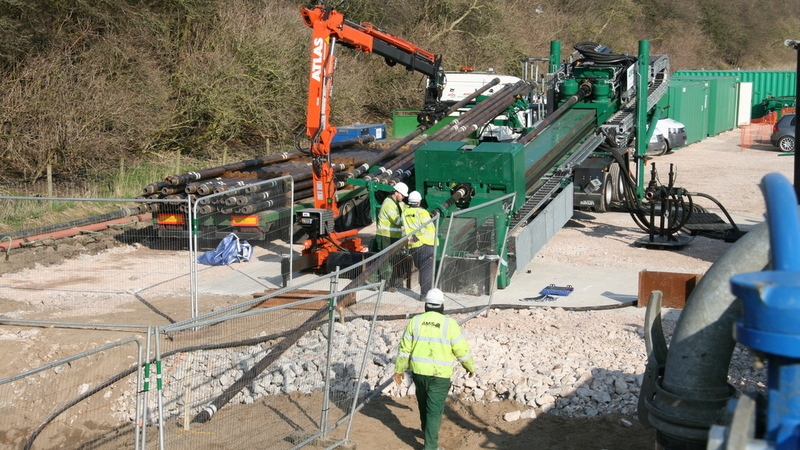 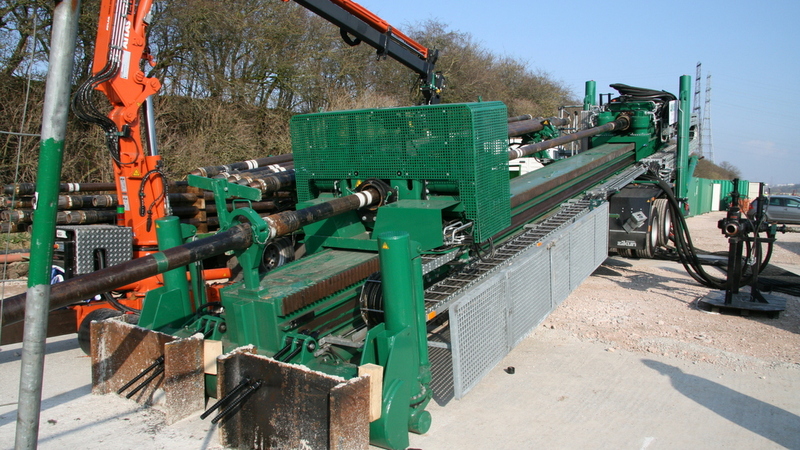 Installations under motorways, waterways, railways, airport runways and SSSI sites are routine. 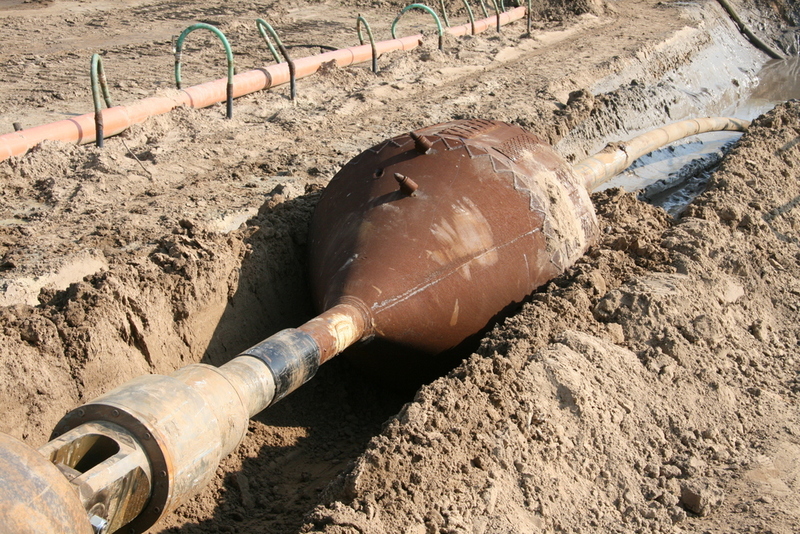 The cost savings resulting from the application of this technology, in both direct and consequential terms, can be very significant. 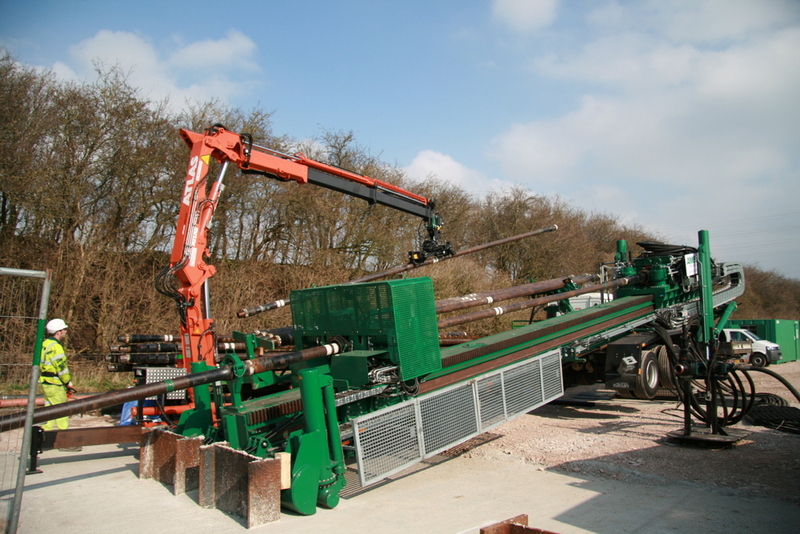 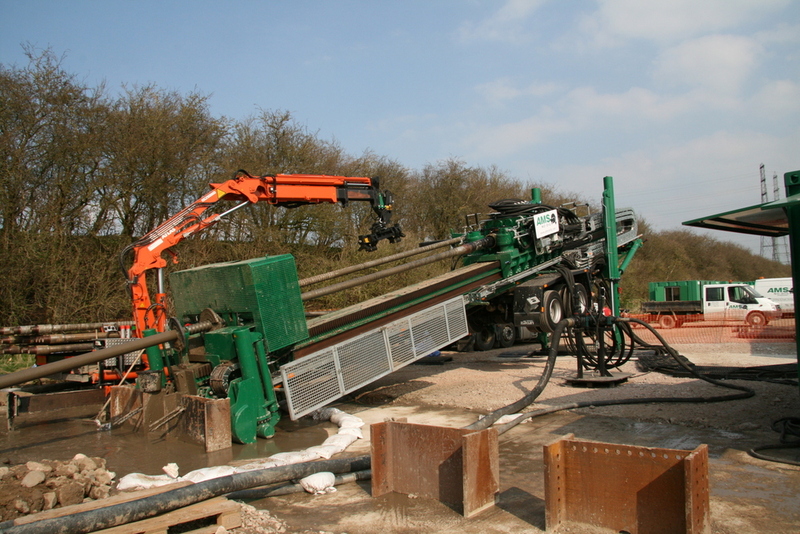 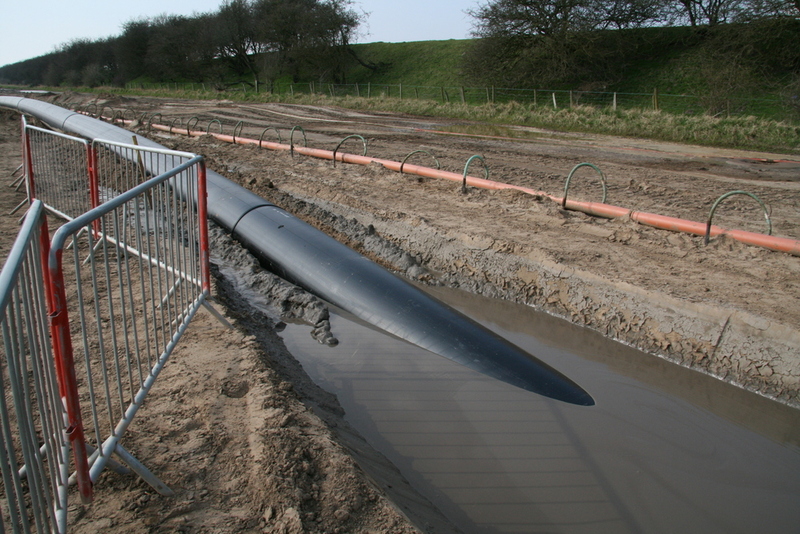 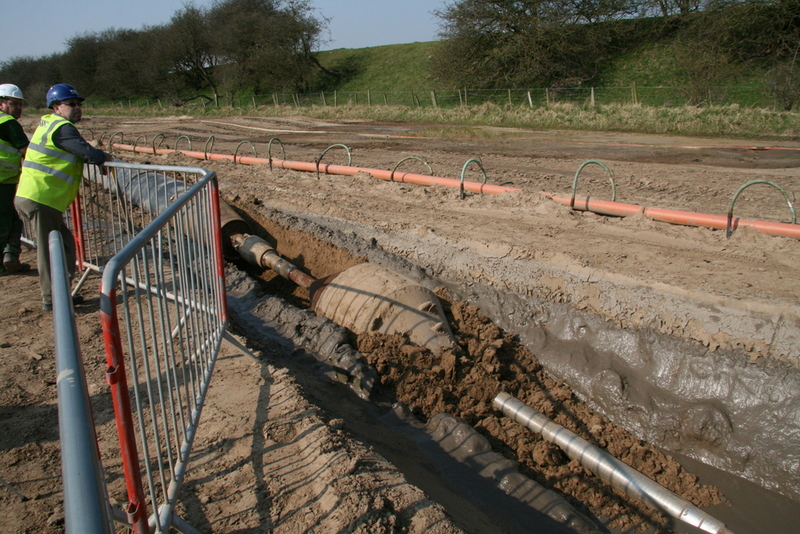 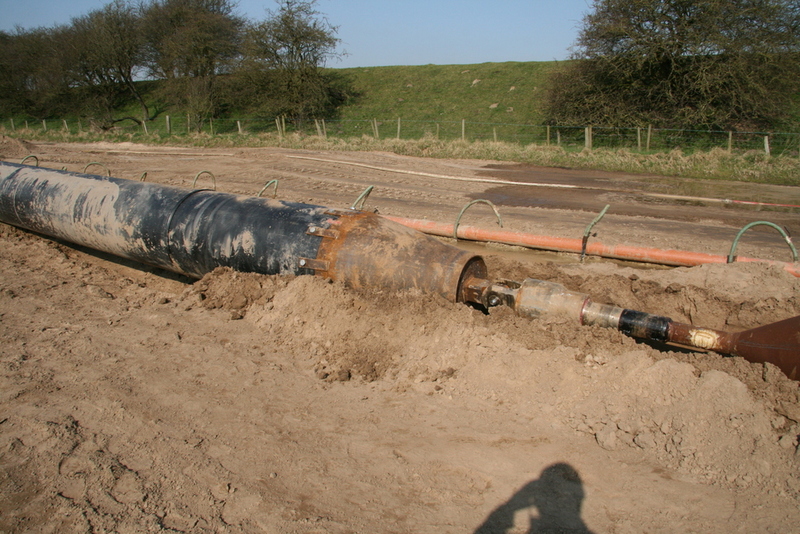 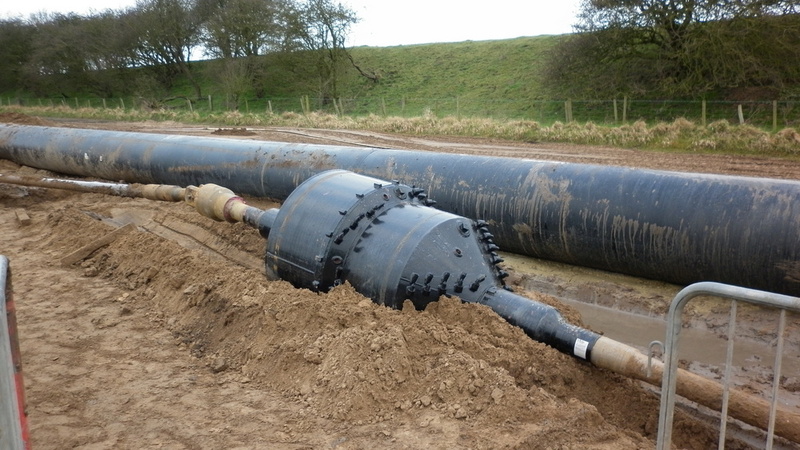 Directional Drilling (HDD) is fast, efficient and environmentally friendly. 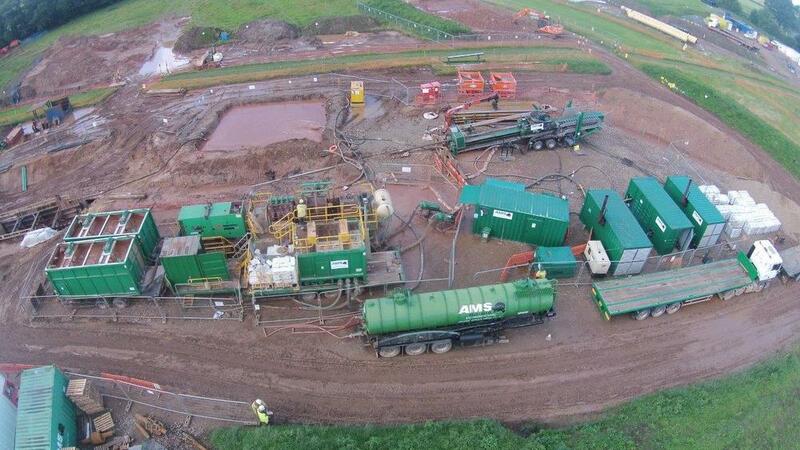 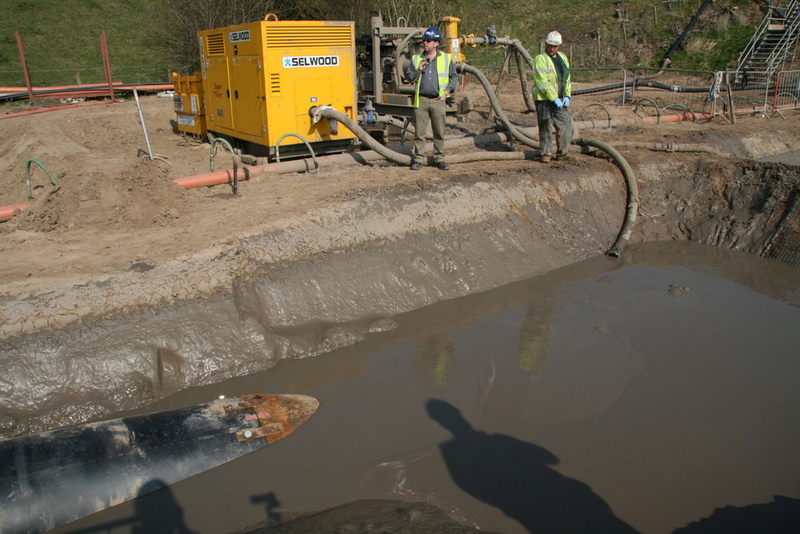 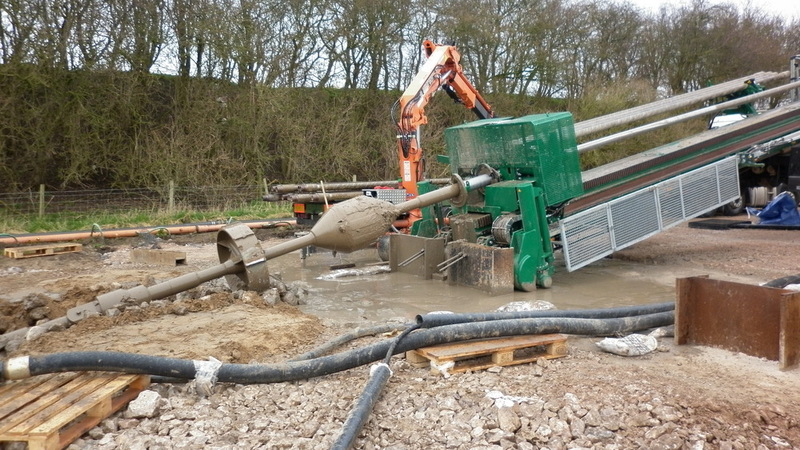 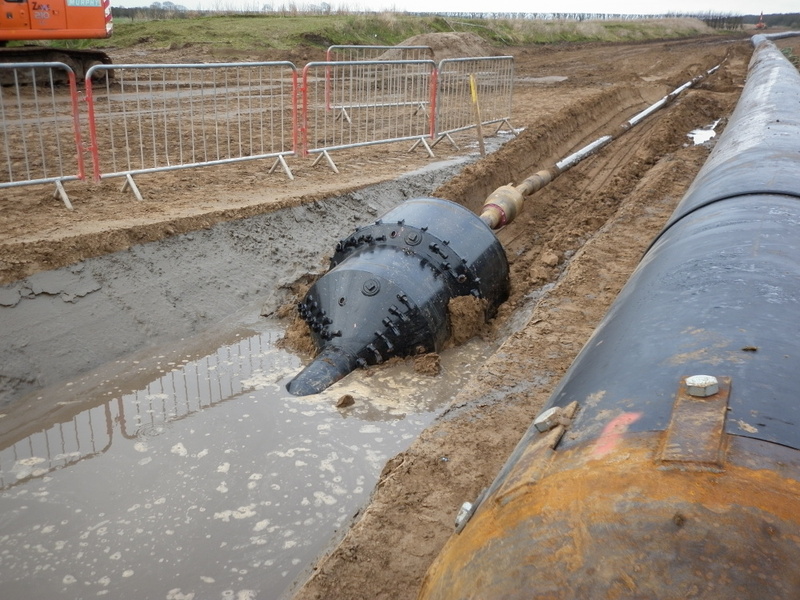 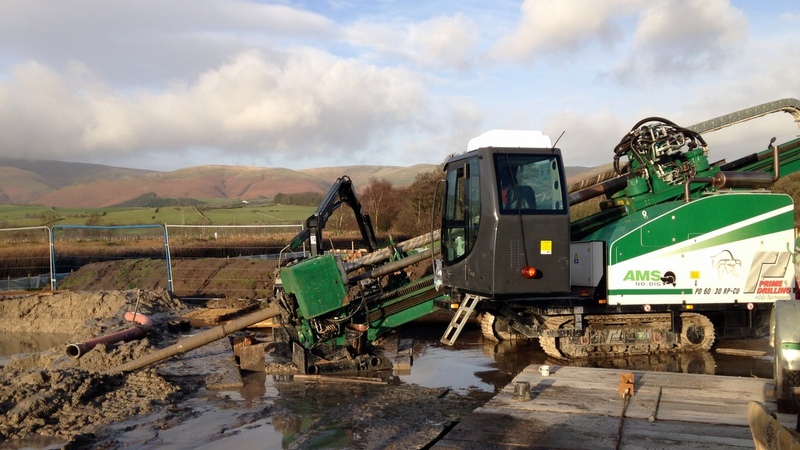 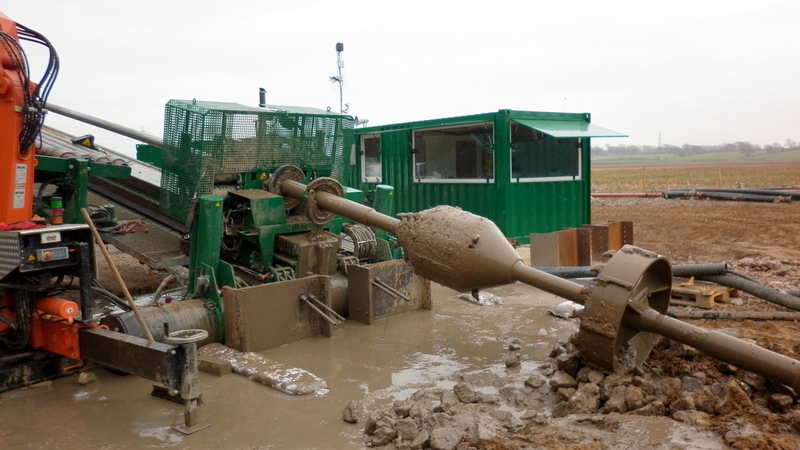 Using the latest in tooling and mud technology, successful installations can be achieved in most ground formations. 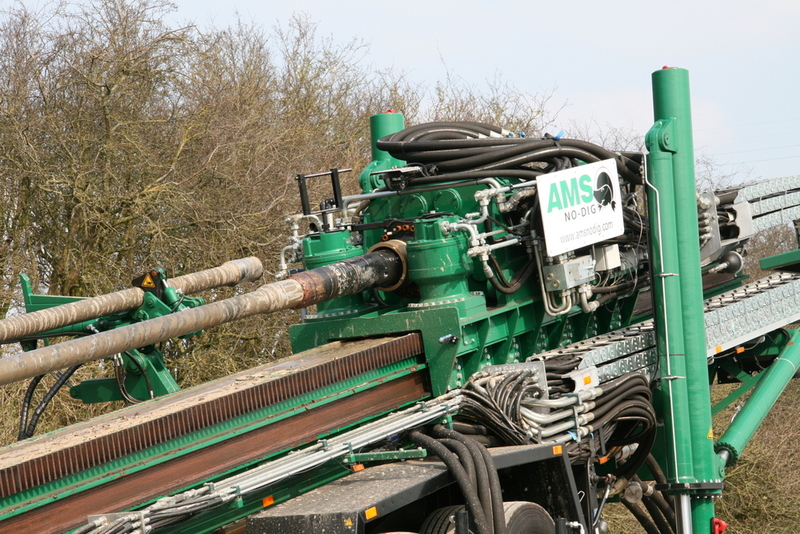 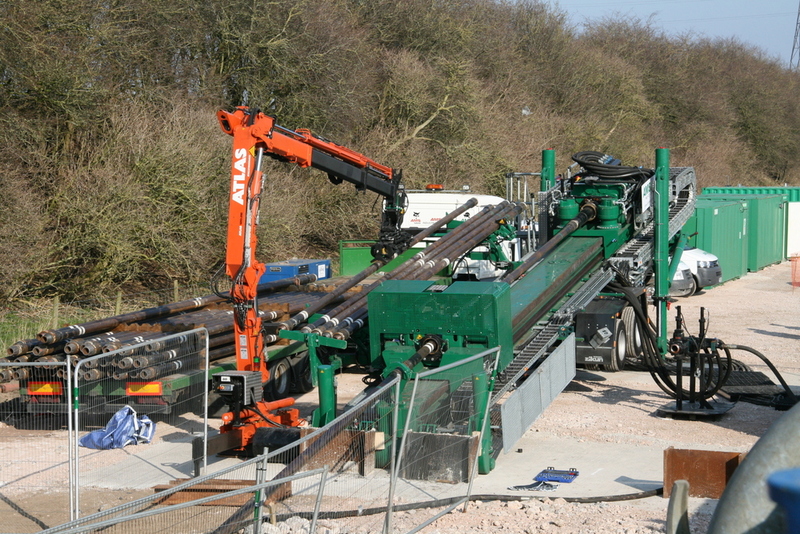 The AMS No-Dig fleet has the capacity to install product up to 1500mm in diameter and up to 2000m in length, subject to ground conditions, we own a wide range of rigs with pull back forces up to 250 ton, recently adding a second 250 ton rig to the fleet. 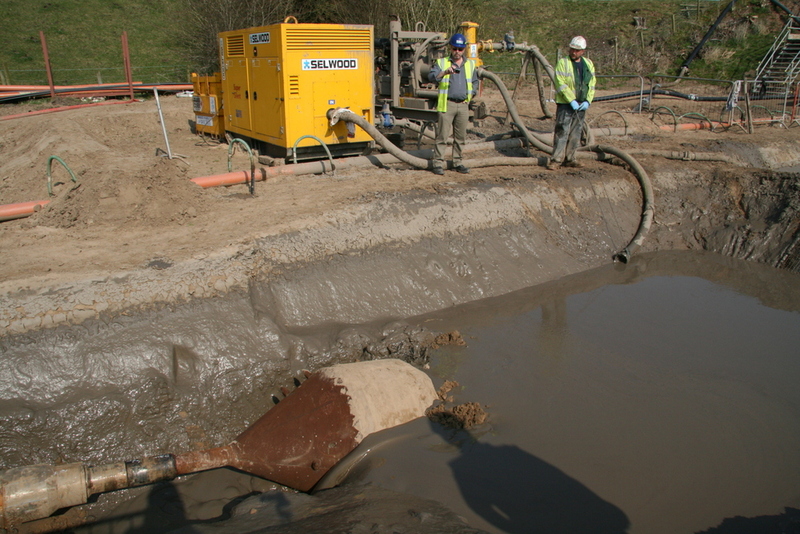 Rock drilling for a sewerage outfall off the West Coast of Ireland. 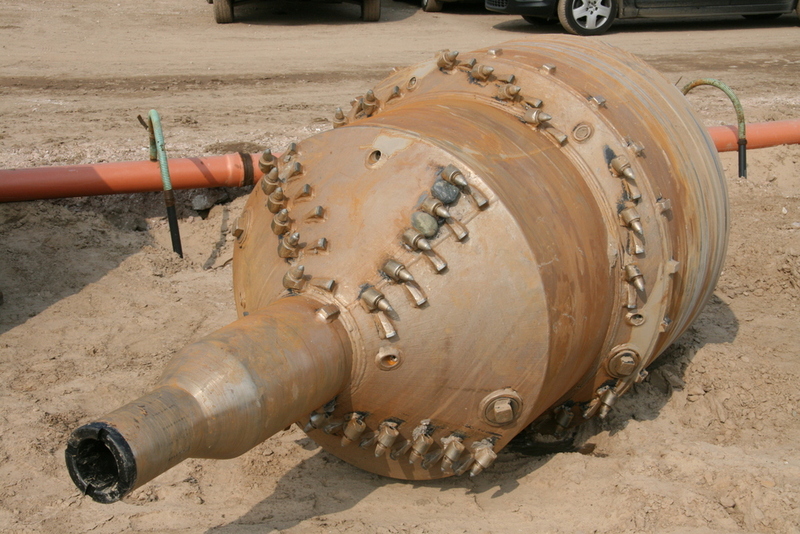 The pipe was installed using a Pipe Pusher to push the pipe 560m under the sea bed of the Atlantic Ocean.